Hope means possibility – possibility for change, possibility for happiness, possibility for something better than what currently is. Hope can be a driving force to create change, it can increase motivation, and it can be the very thing that turns stagnation into movement forward and possibly lasting change. 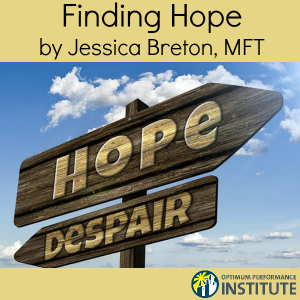 Many of our participants have lost hope over years of experiencing disappointments, let downs, misdiagnoses, invalidating relationships, continuous failures – whether in school, work, relationships, etc. 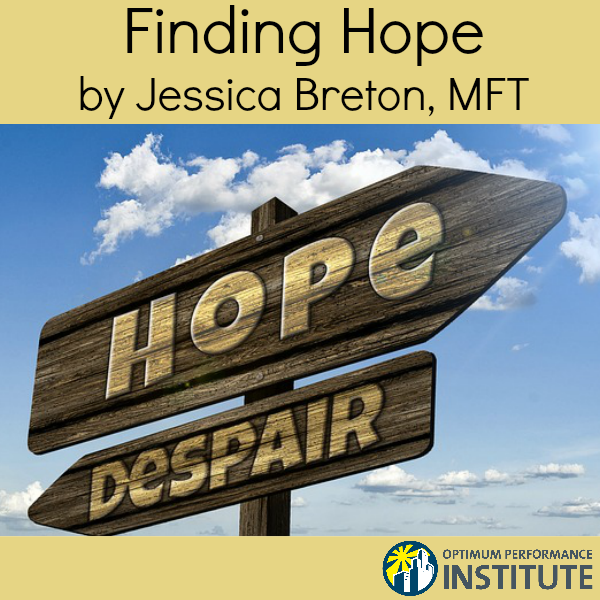 Losing hope has meant losing the drive to work towards something different or better. I imagine our participants in a pool of quicksand….those with hope are fighting their way out – they are exhausted, they are scared and they are still fighting. Those without hope are sinking deeper and deeper into the quicksand. At OPI we are trying to provide that glimmer of hope – that reason or purpose to fight their way out of the quicksand. For some they realized they have a talent that brings them joy, others find purpose in volunteering and helping others (even if they don’t yet feel they can help themselves). As staff we sometimes have to hold on to the hope for them until they are ready to hold onto it themselves. They get stuck in in their rigid thoughts of hopelessness – we are constantly looking for evidence to prove them wrong – to prove that there is reason for hope, that there is possibility – possibility for change and possibility for something better. For more information on OPI residential programs and our measures to help reduce Failure to Launch obstacles for young adults, call us at (888) 814-5985 or click HERE to submit an online form. We’ll be in touch promptly.